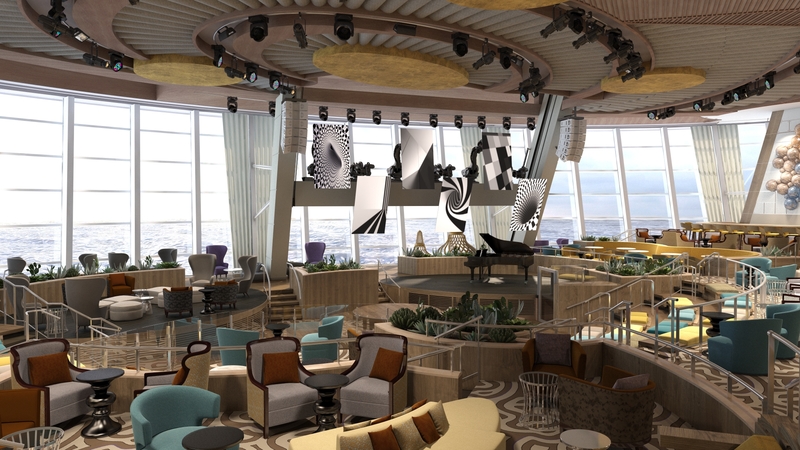 With cruise fans counting down the days until the first two Quantum Class ships take to the open ocean, Quantum of the Seas in November and Anthem of the Seas next April, Royal Caribbean have announced the third sister of the fleet: the Ovation of the Seas. 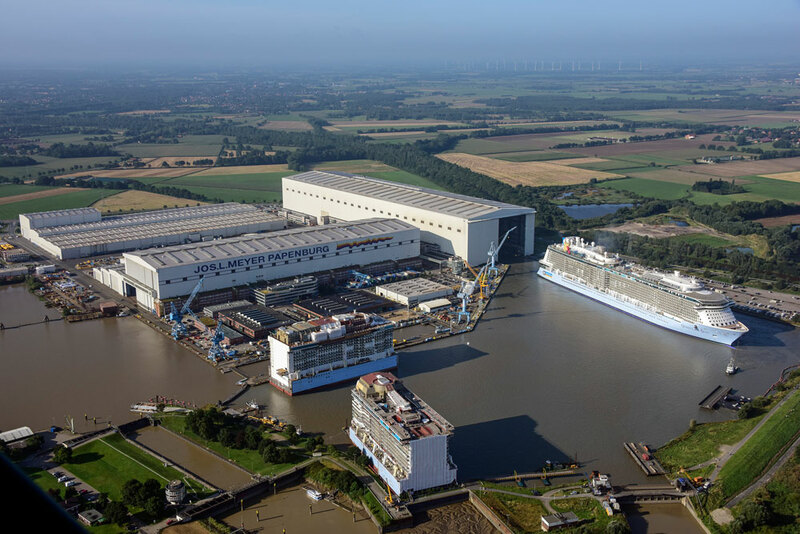 Continuing Royal Caribbean’s tradition of including the suffix ‘of the Seas’ in the ship name; the Ovation was announced this week at a steel-cutting ceremony at the Meyer Werft shipyard in Papenburg, Germany. The ceremony marked the start of construction on the new 167,800-ton, 4,180-passenger ship scheduled to debut in autumn 2016. This makes the ship the same size as its sister vessels, taking the total capacity of the fleet to well over 1,000 passengers. The home port of the newest member of the Royal Caribbean family is yet to be announced with the Quantum and the Anthem calling New Jersey and Southampton home respectively upon their launch. The Quantum of the Seas is relocating to China from May 2015 to take advantage of the blossoming Chinese cruise industry. Although features and amenities aboard the Ovation of the Seas are yet to be announced, it is expected to benefit from many of the world-first features of its sister ships including the skydiving simulator and NorthStar – the viewing pod which raises passengers 300ft above sea level. Many features which are becoming standard aboard Royal Caribbean’s newest and largest ships such as dynamic dining are expected to be included, continuing the line’s commitment to providing fantastic cruise holidays for all members of the family. Record sales for the Anthem of the Seas and Quantum of the Seas have encouraged Royal Caribbean to announced and begin work on the Ovation of the Seas even before the first two ships in the class have taken to the waters. 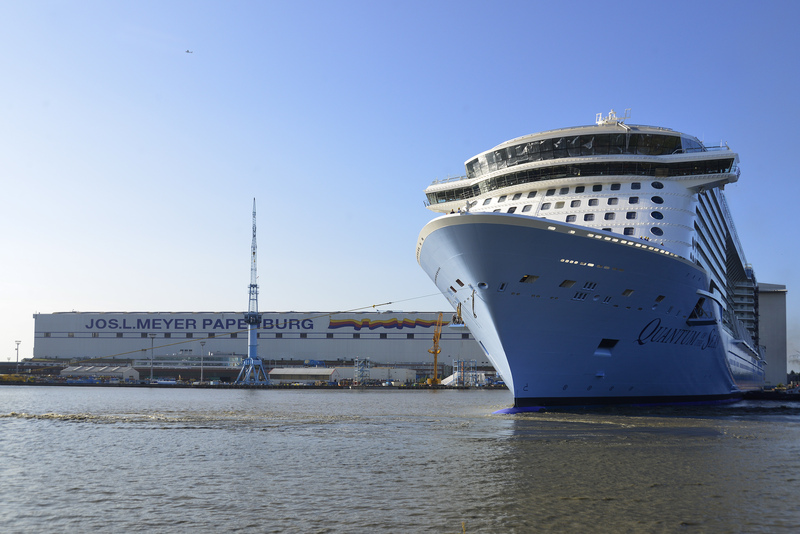 At Cruise1st, we will keep you updated with news about the Ovation of the Seas as we receive it. Just another thing for Royal Caribbean fans to look forward to. If you can’t wait for the Ovation of the Seas, we have fantastic deals on its sister vessels available to book right now, through links below or by calling the sales team on 0800 230 0655.